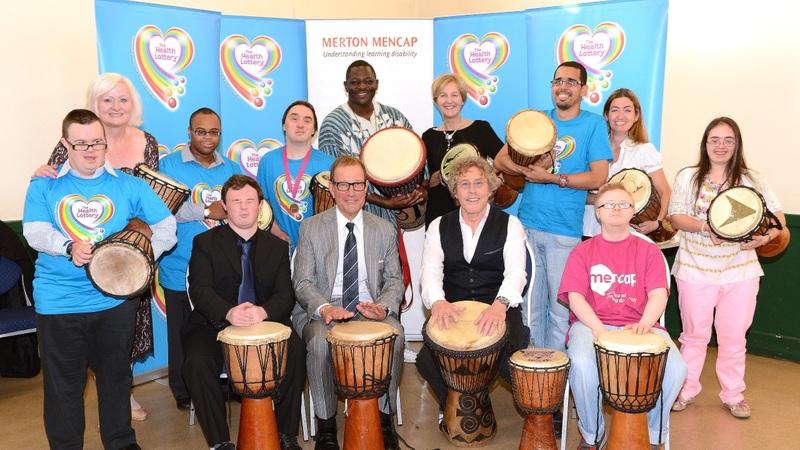 Roger Daltrey at Merton Mencap! Roger Daltrey: “There’s something about this incredibly necessary work, as these people are in some ways the most underprivileged of all.”. 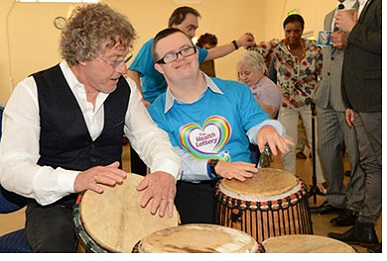 The Who frontman and music legend, Roger Daltrey, visited Merton Mencap in Morden and heard from participants about the importance of projects which support them to be more active and confident in their communities. Mr Daltrey visited the project with Health Lottery owner, Richard Desmond and local Morden and Mitchin Labour MP, Siobhain McDonagh, where they joined Gateway Award participants at Morden Assembly Hall in an African drumming workshop, as well as helped to give out Bronze Gateway Awards. The Gateway Active project offers people with learning disabilities over 13 years old the opportunity to do a Gateway Award, which encourages them to be more active in their community. This is through supporting participation in leisure activities, development of skills, as well as the opportunity to overcome some of the barriers associated with participation, such as independent travel, feeling unsafe in the community and lack of information and accessible services. People’s Health Trust awarded Merton Mencap £64,161, using money raised by HealthFreedom through The Health Lottery, for their Gateway Active project. The Merton Mencap is one of 33 Gateway Active projects around the country supported through money raised by The Health Lottery, and £1,051,303 has been raised by society lotteries through The Health Lottery for Mencap projects. Roger Daltrey said: "I've had 50 years in one of the biggest, most successful rock bands ever and that's a life of privilege in some ways, so what do you do on your time off? These things, like being here today with The Health Lottery, give you a different kind of reward and I find it every bit as valuable. "It gives you the freedom to do more of this, and this gives you a different kind of joy, it really does. “Just to see this kind of thing happening in the community, it’s always fun and gives you hope for a better future. 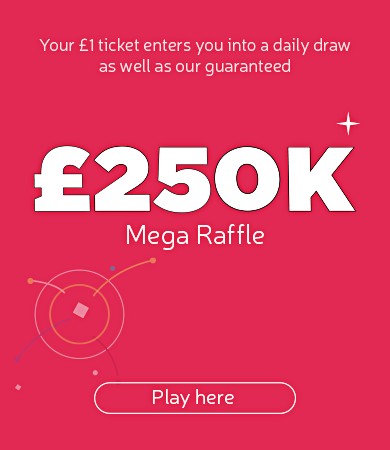 Siobhain McDonagh, Labour MP, said: “"Thank you to The Health Lottery for supporting Merton Mencap. The group does wonderful work supporting young people with learning difficulties and their families. I know that every penny will be well spent enriching their lives." Jan Tregelles, Chief Executive, Mencap, said: “We are delighted Roger Daltrey, Richard Desmond, John Hume and Siobhain McDonagh visited Merton Mencap and helped us celebrate the participants of the Gateway Awards receiving their prizes. The Gateway Awards are important in encouraging people with a learning disability to gain new skills and experiences, become more independent, make friends, be active in the community and to have better health and wellbeing. “Gaining these awards is significant, because they mean that someone with a learning disability has overcome some of the barriers associated with participation in our society, such as independent travel, organising leisure activities, feeling unsafe in the community and lack of information and accessible services. Richard Desmond, Chairman of Northern & Shell and owner of The Health Lottery, said: “I’m delighted to have been able to show Roger Daltrey the work that The Health Lottery is doing in thousands of communities across the country. It was great of him to give up his time to see how Mencap participants George and Bruno, both of whom he met at our Health Lottery Tea party earlier this year, have been getting on and how many others that participate in the Gateway Award have benefitted from funding. Watch the video highlights of the visit here!